Say hello to a population that was never accessible before! Android has over 65% of the mobile market share. 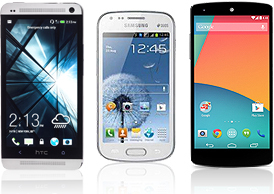 Get your android mobile application developed and open up a whole new market or simply have your back office application created on the Android mobile platform so that you can work while out and about. Contact us for a friendly chat to see how we can help you get mobile. Apple iOS comes second when measured by market share in the mobile application market. Developed countries have more iOS devices than developing countries. 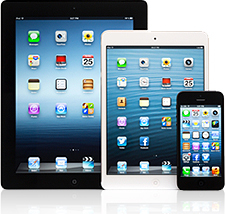 We offer custom app development for the Apple iOS platform and help you publish and launch your app in the marketplace. Windows and Blackberry have the smallest market share after Android and iOS. 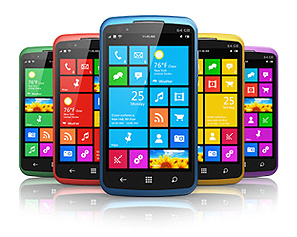 Windows is still growing after Windows 8.1 and more Windows platform mobile devices are seen these days.